Once they were The Amazing Telemachus Family, performers blessed with clairvoyance, telekinesis, and other psychic abilities. But then a tragic event took the magic away, and the powers that briefly made them stars of daytime TV suddenly seem more like a curse. Since their fall from grace they've been trying to lead normal lives back home in Chicago, but there's no such thing as normal for the Telemachuses. When the CIA, the mafia, and an unrelenting skeptic come calling, the family is forced to put their past behind them and unite one more time. But will it be enough to make them amazing again? 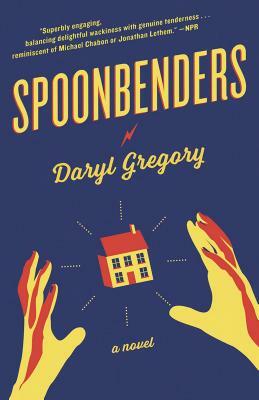 DARYL GREGORY is the author of Afterparty, Raising Stony Mayhall, and other novels for adults and young readers. His novella We Are All Completely Fine won the World Fantasy Award and the Shirley Jackson Award. He lives in Oakland, California.